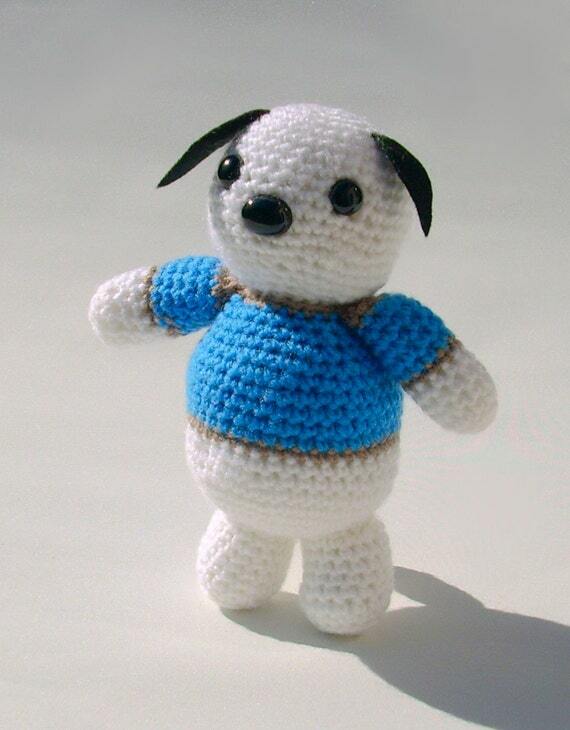 Crochet Dog animal plush handmade amigurumi. Bingo is a stout fellow that loves his food, with his ever increasing waistline and bookcase full of atkins diet books collecting dust Bingo has come to the conclusion that he's happy how he is! With no special dietary requirements (he'll eat anything!) Bingo will be your loyal friend.